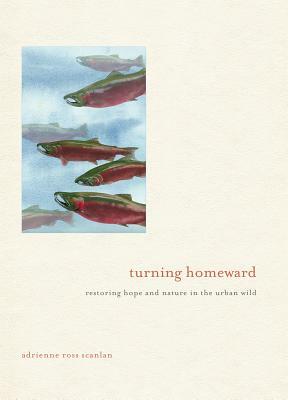 Turning Homeward: Restoring Hope and Nature in the Urban Wild is the journey of a newcomer to the Pacific Northwest who learns that home isn't simply where you live, but where you create belonging. Set in Seattle and Western Washington's urban and suburban "altered" landscapes, Turning Homeward creates an accessible narrative of the complicated joys of rolling up one's sleeves to help repair our beautiful, broken world. Adrienne Scanlan's personal story blends into the natural history of Puget Sound and the tangled issues around urban renewal and river restoration. In the process, readers move with her into a meaningful, hope-filled engagement with place and another understanding of the idea of home. Adrienne explores how seasons spent restoring the city's salmon runs help her make peace with her father's death and build a new marriage. Turning Homeward speaks to a simple truth spreading through our society: The nature we cherish lives alongside us, and by restoring it we heal both home and heart.